GeekRoundTable.com: The New GeekRoundTable Twitter is up! 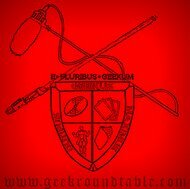 Just a quick note to let everyone know the GeekRoundTable twitter feed is up. We we will keep you in the loop for all things geek and maybe the occasional secret......(shhhhhh......). We will follow you guys too.....(it's only fair after all. ).